Enjoy an exquisite afternoon tea in one of the region's top luxury hotels - an indulgent experience for two. Nothing beats a proper afternoon tea, and that's why we're delighted to offer this fine example at Gleddoch, Glasgow. Relax in the countryside setting, and catch up with a friend over tea, sandwiches, cakes and scones. Gleddoch is within a half hour's drive of Glasgow city centre, though you'll find it hard to believe amid 360 acres of peaceful countryside. 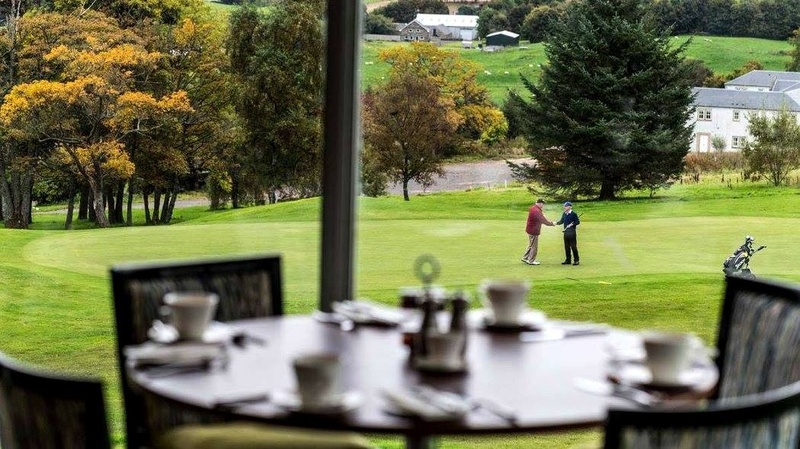 The hotel's terrace offers stunning views over the Clyde and surrounding hills. From the moment you arrive, you can expect quality service and a restful atmosphere in which to enjoy good company. For afternoon tea, you'll enjoy delicate sandwiches, a tier of exquisite cakes, and oven-fresh scones. Expect great Scottish ingredients, classic combinations, and - of course - generous servings of jam and clotted cream! Once you've polished off the last raspberry meringue, you're free linger over another cup of tea, before bidding a contented farewell. Gleddoch's afternoon tea is a real treat, and an Experience Days voucher makes the perfect gift for those who deserve a few hours' indulgence. The hotel is open throughout the year, so you're free to visit whenever (subject to availability). Feel free to take your time! Participants: The Afternoon Tea for Two at Gleddoch is for 2 participants. This voucher is for two guests. Please wear whatever you're comfortable in. This experience takes place indoors, so shouldn't be affected by bad weather.